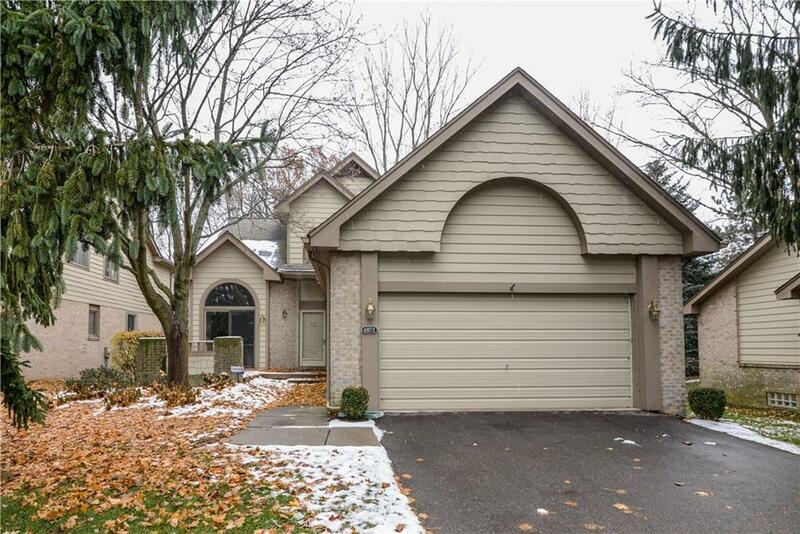 Great price on detached condo in The Lagoon of West Bloomfield! Spacious condo with first floor master suite and custom built-ins! This model is one of the larger units in the complex. You'll love this quiet location on a small street and backs to woods. Popular floor plan with a 2 story vaulted ceilings in living & dining rooms. Cozy kitchen nook also has vaulted ceilings & door wall to front deck. Kitchen has ceramic tile flooring & double oven. 18 x 13 1st master has large walk-in closet & nice size master bath. Master bath is complete with double sink vanity, jetted tub & shower. Upper loft makes perfect office or work-out area. Loft already has built in desk area. New furnace and central air in 2018.